MDL Macau and ESL one Katowice are the two major tournaments that follow the Chongqing Major. MDL Macau is scheduled for the 20th -24th of February, with ESL between the 22nd -24th . Neither offer any Dota Pro Circuit points but both tournaments boast a $300,000 prize pool. The format for MDL Macau will follow a Bo1 round robin group stage, with the top 4 proceeding to the upper bracket and the bottom 4 to lowers. The main stage follows the basic double elimination format, with first round lowers being a Bo1, while every other game, minus the Bo5 grand final, is Bo3. OG, the winners of MDL Macau 2017 and last year’s International have chosen not to defend their title. OG has instead decided to play closer to home in ESL One’s Katowice. With both ESL one and MDL Macau falling on overlapping days, there has been a split in where the teams have decided to play. 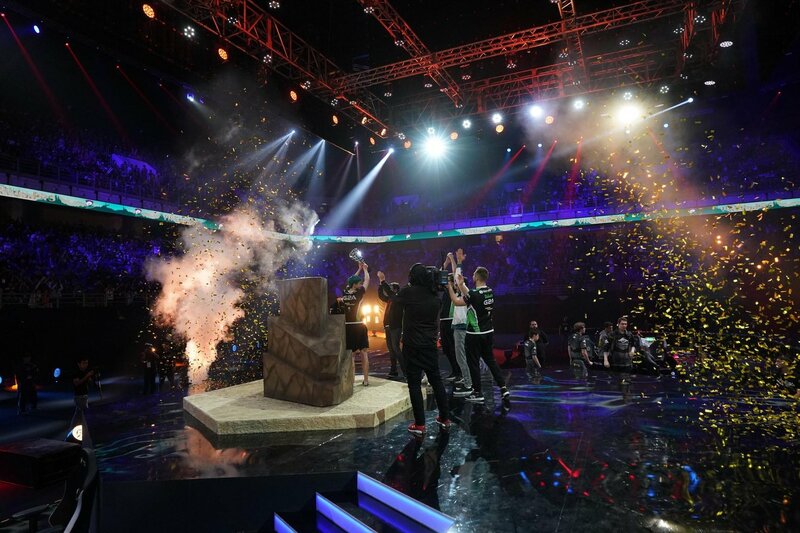 Macau, an independent state located next to Hong Kong, is host to the MDL $300,000 tournament. Often referred to as the “Vegas of the East”, it has come as no suprise that it has lured the lions share of the teams. Virtus.pro, Liquid and Evil Geniuses will line up against the five hometown Chinese teams. Vici Gaming, Newbee, Ehome, Invictus gaming and Royal Never Give Up. Secret, who I would consider to be the strongest team at present, is interestingly absent from MDL Macau. Secret have instead opted to play closer to home in the ESL One tournament, a tournament they will most likely dominate. The conclusion of the Chongqing Major saw the release of patch 7.21. With the usual micro balancing of heroes and items, it also brought additional changes to the core mechanics as well as the map that are sure to keep the game enthralling. The macro changes have altered team’s ability to farm and snowball. A regression back to the old format of a single Ancient camp for each side and the reduction of melee creep gold, will punish greedier line-ups and allow teams better control of enemy resources. Armour buffs to towers should also reduce early 5 man pushes. Strength carries have also gotten some love, with significant movement speed buffs across the board. This might shift teams away from Agility carries, and push Strength cores back into play. Recently 7.21b was released, 5 days before Macau’s start. The patch mainly addresses micro issues associated with heroes’ strengths. Major nerfs to Sven and Grimstroke with some low-profile buffs to weaver and Templar assassin. Many other highly contested heroes like Chaos knight and Juggernaut have also been touched up. With the release of 7.21b and being a Chinese Team dominated tournament, Macau promises a plethora of excitement. While 7.21b is a shake up, the changes probably aren’t significant enough to veer away from predications based off team performances on the previous patch. Virtus.pro after their victory against Secret in the Kuala Lumpur Major Grand finals late last year. Virtus Pro looks well-adjusted to the current patch being the only team currently able to beat Team Secret. The current trilane meta of putting “pasha” in a 1v1 has agreed with their aggressive playstyle. They’re my pick of the bunch coming into Macau. After performing mediocre in the Chongqing Major, Team Liquid is once again back to full strength with “Miracle’s” return. A team that could very easily dominate the tournament if they figure themselves out, they have enough raw skill to outclass almost anyone, so keep an eye out for them. Definitely worth throwing a few dollars behind for the win. Evil Geniuses had a good showing at the major, once again reserving 3rd place for themselves. However, they have lost their star mid player Sumail who’s currently taking a break. While his performances haven't been of his usual standards recently, I don’t think replacement “CCnC” will produce anything comparable to Sumail. I’d give them a decent shot at winning if things go their way, but I wouldn’t consider them a favourite. Ehome and Vici Gaming are two teams I hold in a similar light. Both teams had reasonable performances in the Chongqing Major and have some big named Chinese players that may well lift off the back of a home ground advantage. Either team could produced an upset against the tournament favourites. After a dramatic reshuffling late last year, Invictus Gaming is now a team of fresh faces. The only time we get a good look at Chinese teams is at international showings, and with a largely reformed team, it is hard to get a gauge on how the new IG lineup will go. IG are a bit of a smokey and it is hard to predict how they will perform, but they have had difficulty qualifying for events which would suggest they will be up against it. Royal Never Give Up is a team we haven’t seen a great deal of due to their issues in qualifying for international events. They do have the ability to take games and maybe a series from the top teams but my confidence in Royals is lukewarm. Newbee was once the pride of China, placing second at Ti7 after a strong season. Recently however they have lost many of their key players and have struggled to get anything going within the Chinese scene. Their appearance at the tournament comes after PSG.LGD had to withdraw due to illnes and thus I have no real expectations for Newbee to make an impact at Macau.